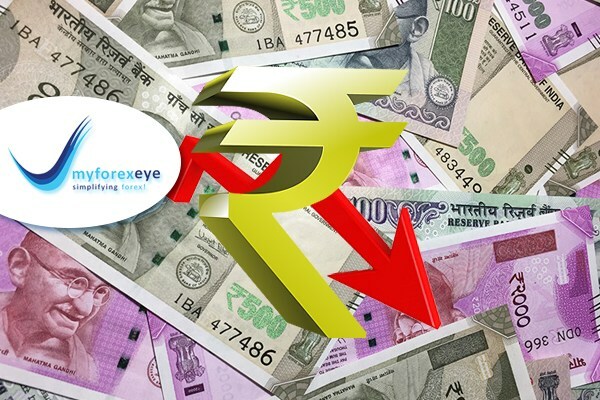 The Indian rupee remained lower against the dollar in afternoon trade amid speculation that the new governor could adopt a more dovish stance on interest rates. The rupee was trading at 72.05 per dollar versus its previous close of 71.85, after initially dropping to a low of 72.20 at the open. Indian shares rallied today after the government moved quickly to calm markets and appoint a new central bank governor whose predecessor quit after a months-long tussle over policy. The broader NSE index was trading 0.90% higher at 10,643.80 while the benchmark BSE index was 0.92% higher at 35,472.97. Asian markets finished higher as of the most recent closing prices. The Shanghai Composite gained 0.31% and the Hang Seng rose 1.53%. European markets are mixed today. The DAX was up 0.48% while the FTSE 100 gained 0.42%. The CAC 40 was up 0.55% while IBEX35 lost 0.02%. Oil prices climbed by more than 1% today, lifted by expectations that an OPEC-led supply cut announced last week for 2019 would stabilize markets as well as hopes that long-running Sino-American trade tensions could ease. Brent crude oil futures were last at $60.58 per barrel, up 0.63% from their last close. The dollar held near a one-month high against its peers on Wednesday, supported by a rebound in U.S. yields and weakness of the pound as its battering from uncertainty about Brexit continued. The dollar index stood at 97.43 after rising overnight to 97.545, its highest since Nov. 13. The British currency was little changed at $1.2495 after dropping to $1.2480 overnight, its weakest since April 2017. The currency has lost 1.8% this week. The euro was also flat at $1.1320 after shedding 0.3% the previous day. Most regional currencies and equities were trading higher amid hopes of easing U.S. and China trade tensions. China had agreed to cut tariffs on U.S.-built cars and auto parts, a Donald Trump administration official said on Tuesday.